I need to join another reading challenge like I need a hole in the head, but this one, hosted by Bunnita of Worth Reading It, is one of the most creative challenges I have seen. How could I say no? Before officially signing up, I had to take a Sorting Hat quiz to discover the team that I will join. How cool is that?! I learned that I am a HufflePuff, which honestly, I was not surprised (I expected that or Raven Claw). I will earn one point for each book that I read and that, in turn, will help the Hufflepuff house earn points as well. 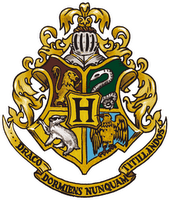 Reading a Harry Potter book, however, will earn a full 25 points – and since my goal is to try to read the series this year (for the first time, I might add), I am hoping to be of some value to my house team. My first book for this challenge will be to finish the 2nd audio book in the series, Harry Potter and the Chamber of Secrets, over spring break and start the third. I think this challenge will tie in nicely with my audio/exercise routine and should help me think creatively about titles of books that I plan to read in the future. Kudos to Bunnita for developing such a fun, unique challenge! Sounds like a fun challenge! Good luck! Challenges are a blast! Good luck and lots of enjoyment with that one. What a fun and creative challenge. Have fun. What an incredibly cool and creative challenge!! Have fun with it! Clever, clever challenge! Have fun!! Because you didn't have enough reading on your plate, right?! Ha! This challenge sounds like so much fun! I already know I'll probably fail it so I better leave it alone! Good luck! What a cool way to choose the next book to read, instead of wandering around the library shelves! I'd like to suggest you try my humorous murder mystery series – The Bob White Birder Murders – for your Dark Arts challenge. You might see some of yourself in it, since I was a SAHM until I went back to get my MA in English, and I spent 6 years working in a high school. The second book in the series – Murder on Warbler Weekend – revolves around high school students in May, so you get spring fever, the girls' softball team, and lots of dress code violations! Enjoy! This sounds like a really fun challenge. I have sworn off all challenges or I would join myself! I look forward to your challenge updates and reviews.